This survey has been developed by the Coalition for Community Energy members MEFL, ATA and Starfish Initiatives to help inform the Z-NET Hepburn Shire project. This project is funded by Sustainability Victoria under the Take2 Community Transition Pilot Program with additional contributions from Hepburn Shire Council, Hepburn Wind and the Samsø Energy Academy (Denmark). The survey will help us understand how you as the community of Hepburn Shire currently use energy in your homes and what you think about using less energy, generating your own energy, generating energy nearby and purchasing or importing renewable energy. 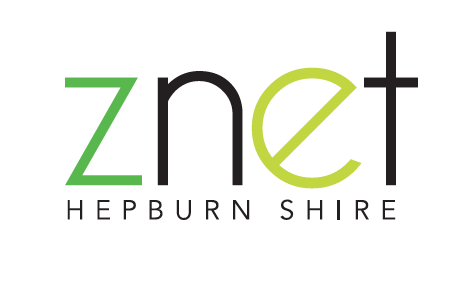 By completing this survey you will be providing a very valuable input into the Z-NET project and helping guide the Hepburn Shire's transition. It will take approximately 15 minutes to complete. Information collected will be used solely for the purpose described above and/or a directly related purpose as permitted under the Privacy Act. No identifiable information will be disclosed to others, but de-identified data may be shared for research purposes. Information shared cannot be linked back to any individual and your data will not be on-sold for market research or other purposes. All identifiable data collected is optional and for the primary purpose of communicating to you about the project by the Z-NET project consortium.